Sony Xperia X Performance Dual Sim expected price in India is ₹32,999. At a time when Sony has officially retired its Z series, the Xperia X Performance is the most powerful Xperia phone that Sony loyalist can look forward too. The Sony Xperia X performance is also the first Sony smartphone to flaunt Metal back cover, but design-wise it doesn't digress much from what you would expect from Sony's Xperia Z series. It looks every bit as premium, is powered by flagship-grade Snapdragon 820 quad core processor, has a 23MP rear camera, 13MP front selfie camera and the latest Android marshmallow operating system. How then is it different from high-end Xperia Z series devices? I am glad you asked. The difference is in approach. 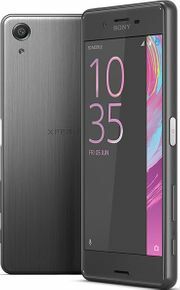 With the Xperia X series, Sony won't be fighting to put the latest and greatest technology in its smartphones, but will be aiming for a calculated and refined user experience, highlighting and improving on all traits that make Sony successful. So the Xperia X Performance doesn't have a QHD or 4K display, but a very reasonable and gorgeous 5 inch Full HD display panel. Marketing talk will tell you that Sony is trying to make smartphones smarter. However, the company has little to show for those claims. The camera comes with an object tracking feature that can predict next focus point for a moving object to reduce motion blur and the battery follows a charging algorithm from Qnovo, that helps maintain your battery health, bestowing fast charging benefits along side. These features aren't exclusive to X performance though. All three X series debutantes embrace them. Other features include fingerprint sensor clubbed with power key, 4G LTE, iFi 802.11a / b / g / n / ac (2.4GHz / 5GHz) MIMO, Bluetooth 4.2, GPS/ GLONASS and NFC. If you are a Sony loyalist, Xperia X performance is the most powerful Sony phone you can buy this year. The lowest price of Sony Xperia X is expected to be around 33,000 INR. Sony hasn't yet revealed availability info, so we are not yet sure where and when you can buy Sony Xperia X Performance Online in India.